Perfect, comfortable, well equiped, close to the lift, nice host! Super nice host, extremely friendly! 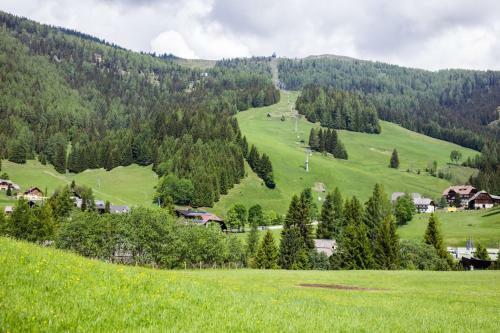 Very nice flat, easy to walk to ski lifts. Very comfortable, clean and well equipped accomodation situated close to the ski lifts and with beautiful nature around. Astrid and Wolfgang are very kind, helpful and friendly hosts. Astrid served us perfect breakfast with her own very tasty home made products - butter, cheese, marmalade, etc.Highly recommended !!! This is one of the best apartments I have stayed in. It is located just about 100m from gondola. What is more important is how clean, warm and well equiped it is. Astrid (host) is a very kind, communicative and friendly person. Strong recommendations! Everything was perfect. This is the best B&B we stayed in. Astrid is a perfect host. We wrote to her our arrival time and she waited for us in the property, gave us great tips on hikes around and restaurants, and was very friendly and welcoming. The room was very convenient and super clean, breakfast was very good. Astrid gave us Carinthia Cards which means you don't have to pay for attractions in the area and that saved us a lot of money. We really enjoyed the surroundings, it's a great place for hiking, and not too far from some restaurants (which you can reach by foot) and shops. Overall a perfect stay. We hope to come back! Everything's. It is a beautiful place. The host was very nice. Very comfortable apartment with all equipment you need.Beautiful nature all around.Very kind and helpful hosts.We recommend their own farm products - milk, eggs and homemade butter, they are delicious! We had wonderful holiday! The breakfest was delicious and very nutritious. We enjoyed the talks with the owners, they are really friendly and open. This was my honeymoon and it was perfect! The location is great as it's really close to the best slopes in the resort. Astrid's hospitality was exceptional, this place was far better than any other we experienced in the recent years. Don't miss the cows if you can and taste all the home made products you get for breakfast! Lock in a great price for Der Hoferbauer – rated 9.9 by recent guests! One of our best sellers in Bad Kleinkirchheim! 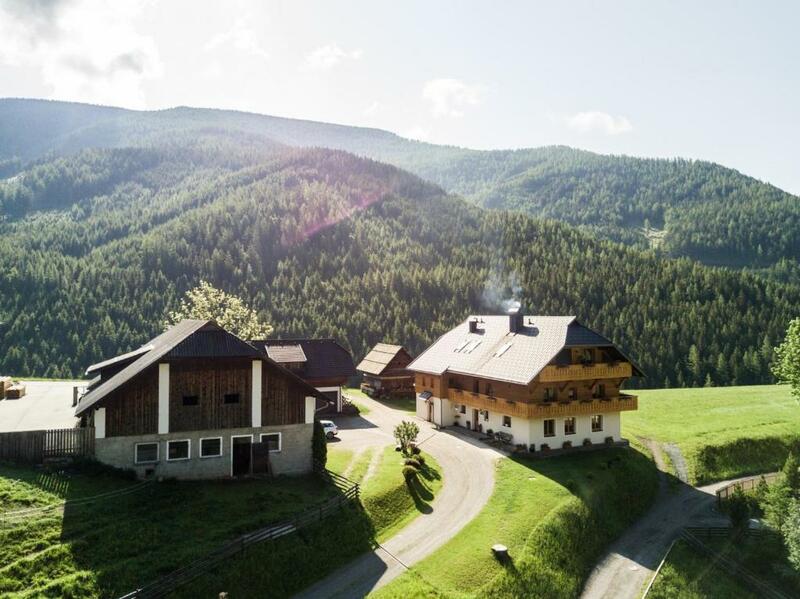 Located in the center of Sankt Oswald in the Nockberge region, a 3-minute walk to the Brunnach Cable Car and 20 feet from Bad Kleinkirchheim, Hoferbauer offers free Wi-Fi and a ski storage room. All rooms feature a bathroom with a shower and a toilet and a flat-screen TV with satellite channels. The apartments additionally feature a kitchen or a kitchenette with a dining area and are furbished with Suisse stone pine. 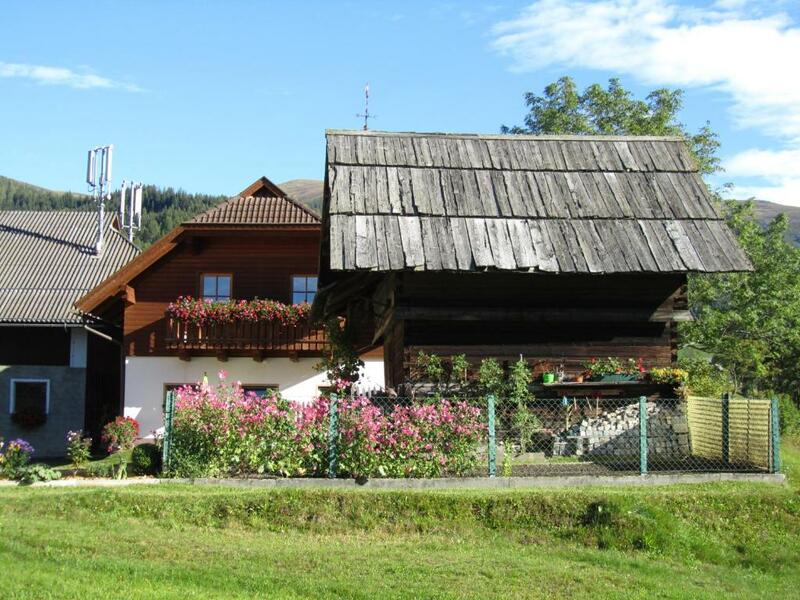 Fresh bread rolls can be delivered in the morning and guests are provided with products from the Hoferbauer’s farm. Guests can also use the garden with its terrace and barbecue facilities. During summer season, between June and September, the entrance to the public lido Slippinger at the lake Millstatt is free. The Kaernten Card is included from May to 26 October and offers several discounts and benefits in the region. From 10 March to 02 April 2018 a ski pass is included and guests receive a 50% discount on the admission to public spas. From 07 to 22 December 2017 a 25% discount on a ski pass is offered. 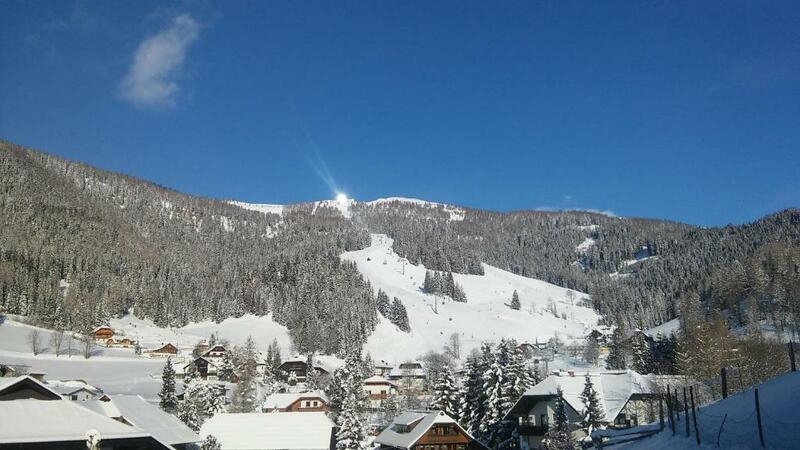 This property also has one of the top-rated locations in Bad Kleinkirchheim! Guests are happier about it compared to other properties in the area. 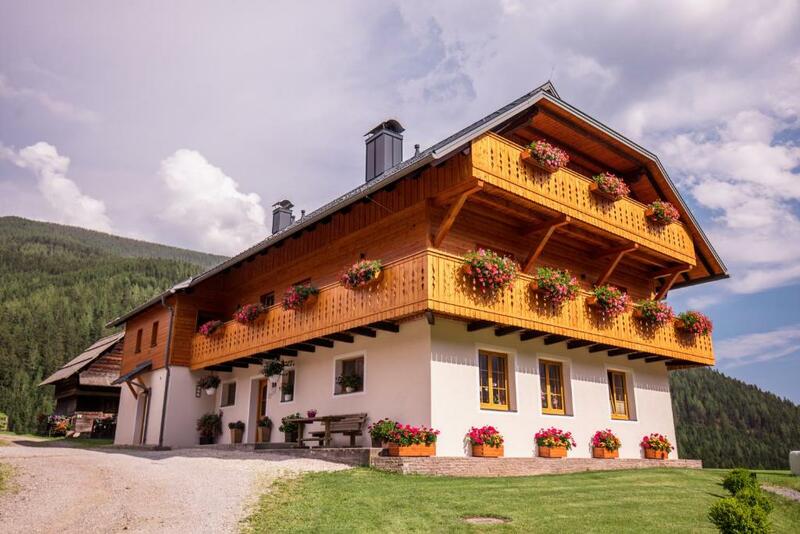 This property is also rated for the best value in Bad Kleinkirchheim! Guests are getting more for their money when compared to other properties in this city. When would you like to stay at Der Hoferbauer? This double room features a flat-screen satellite TV and a bathroom with a shower and a toilet. This apartment features a balcony, a flat-screen TV with satellite channels, a kitchenette with a dining area and a bathroom with a shower and a toilet. This apartment features satellite TV, a kitchen with a dining area and a bathroom with a shower and a toilet. 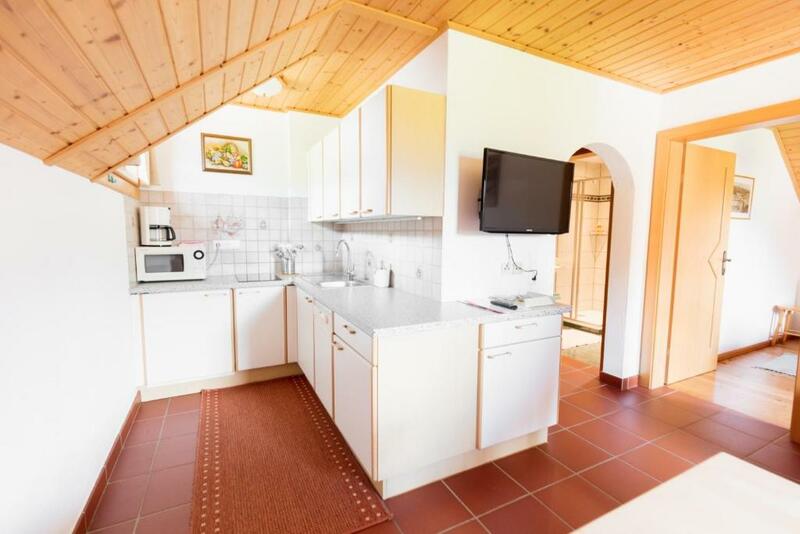 Spacious apartment featuring 2 bedrooms, each with a flat-screen TV with satellite channels, a kitchen with a dining area, and a bathroom with a spacious shower and a separate toilet. Der "Hoferbauer" war einer der ersten Gehöfte in St. Oswald, nachweislich seit dem Jahre 1615. Im Sommer 1967 verbrachten die ersten Gäste Ihren Urlaub am Hoferriegel. 2013 wurde in 4 Monaten Umbauzeit das 1. 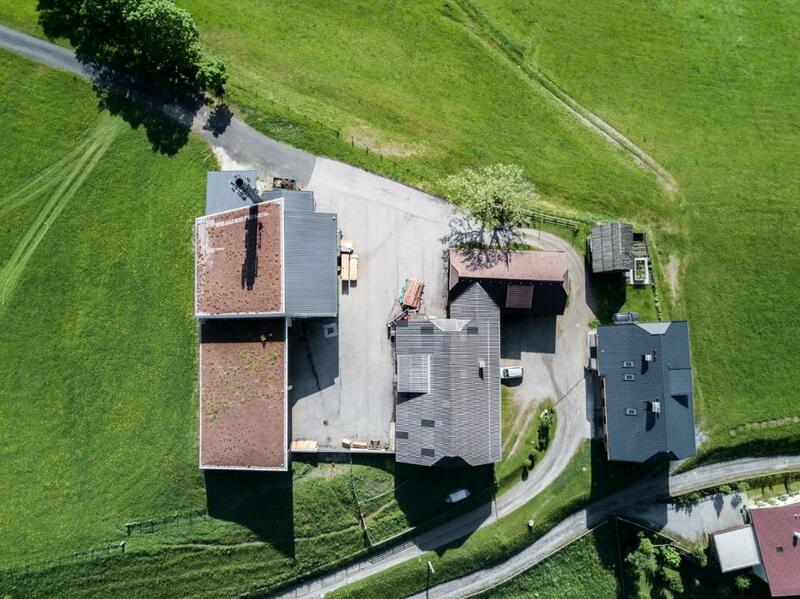 Ober- und das Dachgeschoss neu gestaltet und um zwei Zirben-Appartements und ein Doppelzimmer erweitert. Der "Hoferbauer" ist auch ein Landwirtschaftsbetrieb mit Milchkühen, deren Milch am Hof zu Butter und Käse verarbeitet und auch ab Hof verkauft wird. Die zwei Schweine werden für den Eigenverbrauch gemästet und die fleißigen Hühner liefern täglich die frischen Eier. Neben der Vermietung und der landwirtschaflichen Tätigkeit, ist es auch die Landschaftspflege und die Landschaftserhaltung, die in unseren Händen liegt. Der "Hoferbauer" am "Hoferriegel" ist Ausgangspunkt von zahlreichen Wanderrouten, Biketouren und nur 300 Meter entfernt von der Nationalparkbahn "Brunnach". Nur wenige Kilometer entfernt liegen einige Badeseeen, wie z.B. der Millstätter See, Brennsee, Afritzer See... Die Thermen sind auch bequem mit dem kostenlosen Busshuttel zu erreichen. House Rules Der Hoferbauer takes special requests – add in the next step! Der Hoferbauer accepts these cards and reserves the right to temporarily hold an amount prior to arrival. Please inform Der Hoferbauer of your expected arrival time in advance. You can use the Special Requests box when booking, or contact the property directly using the contact details in your confirmation. Astrid is the best host in the world. This was our 2nd stay at Der Hoferbauer and the first was three years ago for our honeymoon. A stay at Astrid’s (the host) always makes us feel special. She lives at the property so she is always there when you need something, have a question, or would like to purchase some of the delicious dairy products she produces on site. When you arrive there is fruit and water on the table for you and little chocolates on your pillow. There is also a backpack and an umbrella for you to use on the trip. There’s even soap and body wash in the bathroom which is produced locally. When you come back or leave for the day, Astrid is always interested in how your day was. There are three beautiful cats and chickens, which our son absolutely loved. It’s rare to stay in a place where you feel like the hosts really care but here you really feel how important it is to them. We even got homemade soaps as a gift before we left! All those little treats coupled with the fact that the apartments are pristinely clean and the surrounding area of St. Oswald is quaint and picturesque make the experience unforgettable. There are also great restaurants in the area and hiking/biking trails. Lastly, a great perk in summer is the free Carinthian card which gives you free access to cable cars, museums and tons of other attractions in the area. You can save a ton of money this way and you really get to see a lot of cool things! I'm being very picky, but it would have been nice to be able to sit in some relaxing garden furniture to enjoy the sun - only hard benches available. A perfect place to spend a week exploring Carinthia. On the outside a traditional Austrian farmhouse, but inside the quality of the apartment was stunning - superb design with high quality furnishings. Warm and friendly owners who will go the 'extra mile' to make your stay special...they even showed us their mountain pasture and cows at milking time. 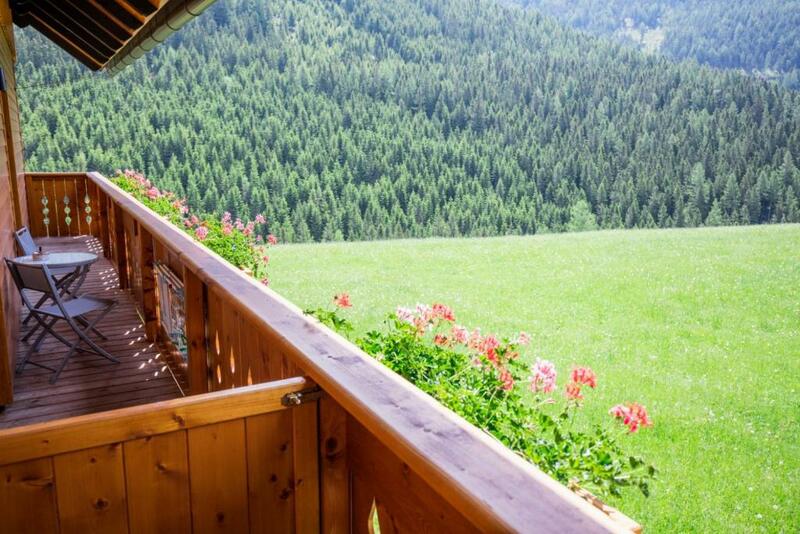 Don't be put off by the smell of cheese as you enter the main farmhouse (it is hand made on site), your apartment smells of the freshest pine forest! A big bonus is the Karten card (all cable cars and lake cruisers free) and the local Sportsalm Gastof restaurant just 5 minutes walk away. The apartment was very nice, comfortable and silent, from the balcony opens beautiful view. Astrid and Wolfgang were very kind, they showed to our children their animals too. 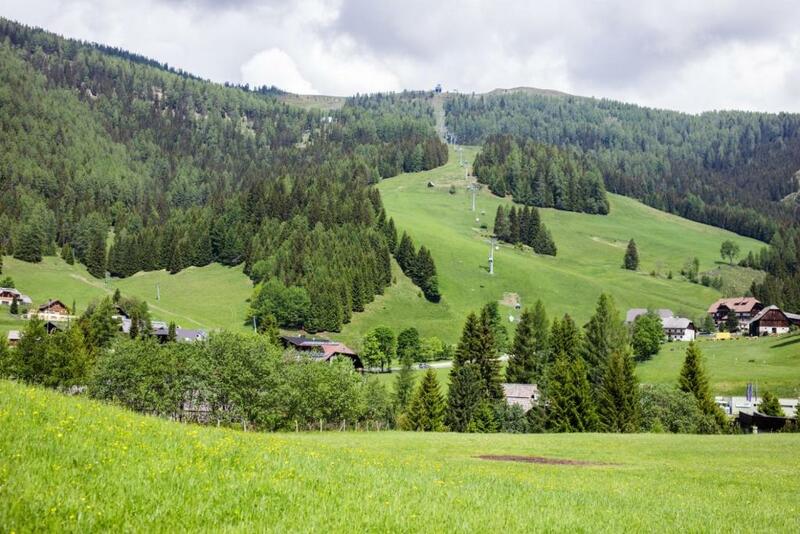 The cable car is 5 minutes walk, the surroundings are full of hiking possibilities. We recommend it to everybody.